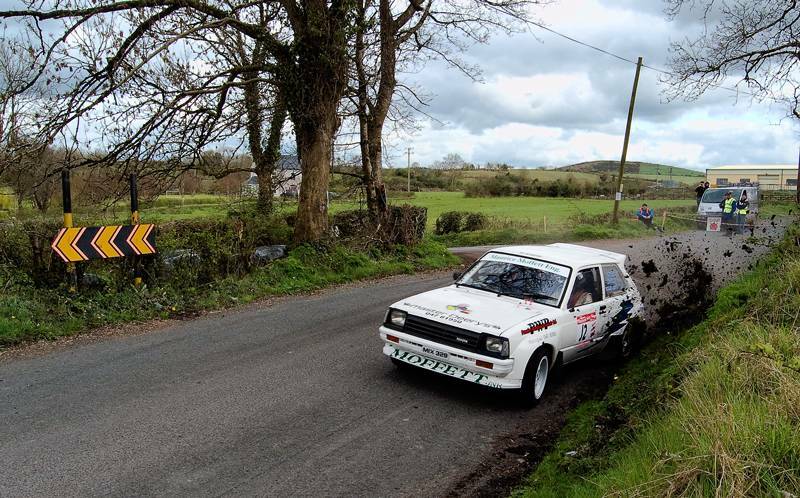 This weekend we had the pleasure of having the Midlands Motor Club ‘Stages Rally 2009’ zoom around our locality here in Longford. It’s hard to get a decent shot when the cars just fly by in an instant and I’ve never really tried this type of photography. This was the only shot that came any way near being interesting. It’s the first time I’ve taken stuff in RAW mode having actually read up a bit on what RAW actually means. I can definitely see the potential advantage on import though, but still found it hard to get a decent balance of brightness thanks to the glaring sun on the clouds in the distance.